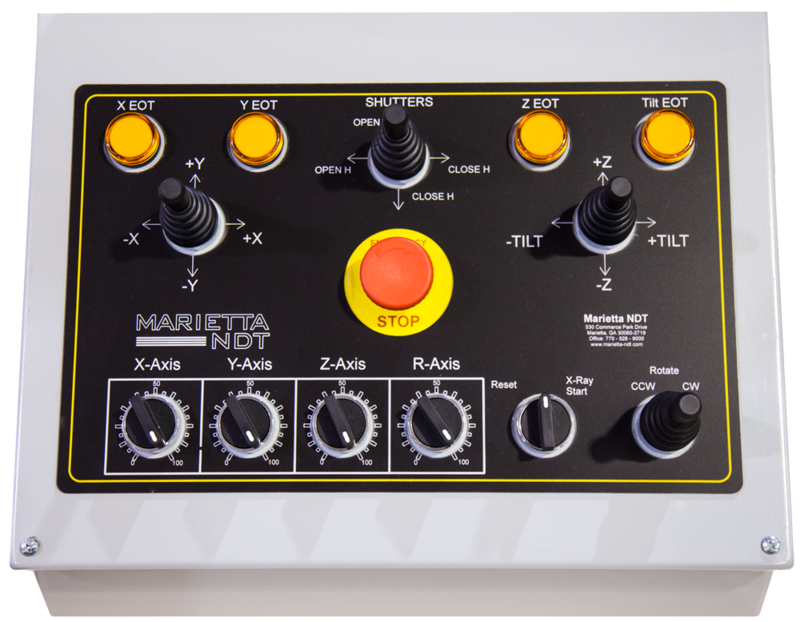 The RTC-16 Real Time X-ray Systems are designed and produced in Marietta Georgia under ISO 9001 Quality Standard. 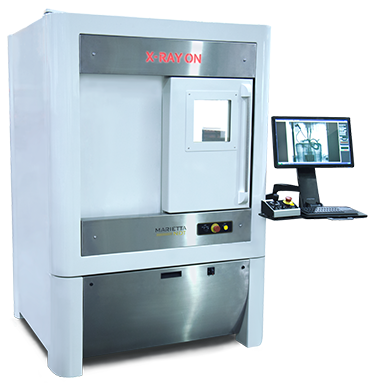 At the center of this system is a unique cabinet that meets all CFR 1020.4 radiation safety requirements and houses the joystick controlled manipulation system. It ships complete with an X-ray generator, Detector, and Imaging software. Our paint shop produces a modern, attractive, inspection cabinet that can be easily installed and forklift movable for adaptability in the future. 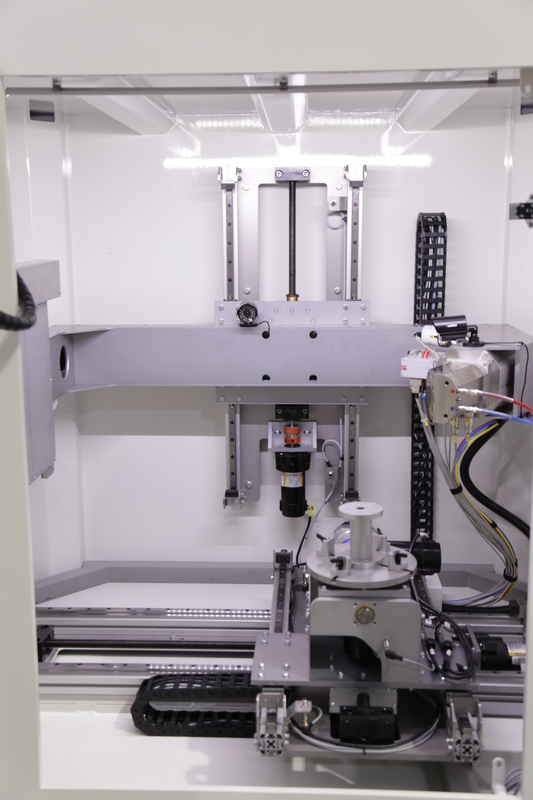 Our typical solution allows the source and detector to move in the vertical plane while allowing the part to rest on a floor-mounted manipulator with a rotary table. Five axes of motion give the operator infinite adjustability to position the part. These cabinets are configured with an X-Ray source up to 450kV and a real-time imaging panel.